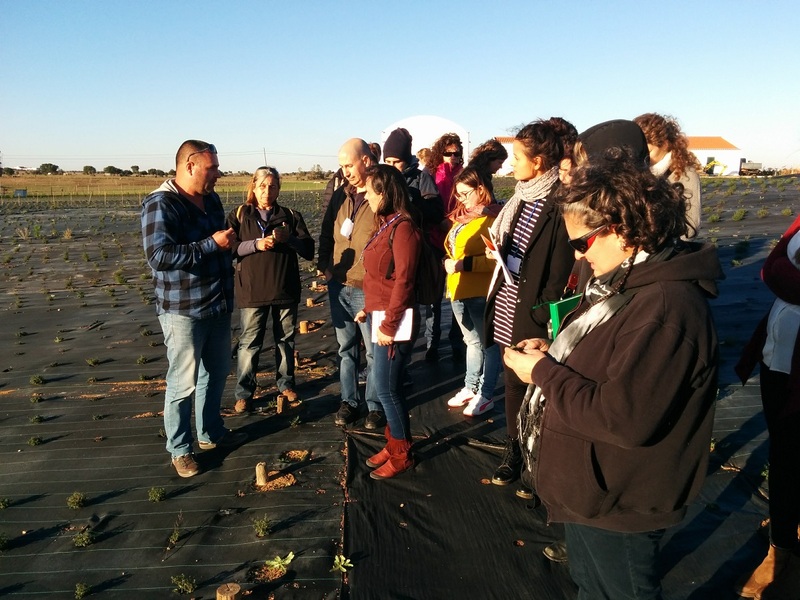 From the 14th to the 18th November 2016 Alentejo region (Portugal) hosted the first appointment of the transnational mobility of the project HERBARTIS: Adult Training on Handicraft Production of Medicinal and Aromatic Plants”. The project, approved by European Commission under the Community program 2014-2020 (KA2 “Strategic Partnerships” action), is dedicated to strengthening new paths of education and training for producers of medicinal and aromatic plants. 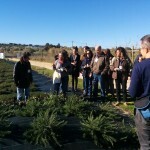 The leader country of the project is Spain, represented by CTFC “Centre Tecnològic Forestal de Catalunya”(Forest Research Centre of Catalonia). The other partners are: from Spain, IRTA “Institut de Recerca i Tecnologia Agroalimentàries”; from France, UESS “Université Européenne Senteurs et Saveurs (UESS)”; from Portugal, ADCMoura “Associação para o Desenvolvimento do Concelho de Moura”; and from Italy, the Association “Le Terre dei Savoia” and CRA-FSO “Council for research and experimentation in agriculture”. A group of about 30 students and producers from four differents countries had the chance to know Alentejo’s most important producers of aromatic and medicinal plants: “Be Aromatic” in Louredo, “Aromaticas de Palma” in S. Manços, “Canteiro da Luz” in Luz, “Monte do Menir” in Barrada and the farm of António José Benigno in Almareleja, where they could see a solar dryer prototype. 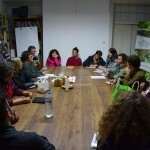 Finally, on 17th November, the students joined the Seminar addressed to the “Small farms of MAPs: the challenges of sustainability”, where different Portuguese producers participated. 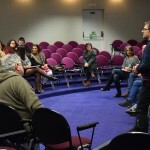 The students also joined transnational work groups where they have been able to confront on activities, techniques, opportunities and problems emerged at the national level and in their respective sector of competence. It was also nice the chance to visit the cultural sites and the local gastronomy. Next appointments will take place in France in January, Spain in February and Italy in April.